Today, the European Asylum Support Office (EASO) published two Country of Origin Information (COI) Reports on Iraq. One report is titled Key socio-economic indicators (Baghdad, Basrah, Erbil), and the second one Internal Mobility. These reports are part of a series of Iraq reports produced in 2018-2019. They cover actors of protection, key socio-economic indicators in Baghdad, Basrah, and Erbil, and targeting of individuals. A security situation report will also be published in early 2019. The reports provide information relevant for international protection status determination for Iraqi asylum seekers, and will be used in the development of a country guidance note on Iraq. Both reports, EASO COI Report: Iraq – Internal mobility and EASO COI Report – Iraq: Key socio-economic indicators, should be read in conjunction with each other. In 2017, Iraq ranked second among the most common countries of origin with more than 52 500 persons applying for international protection in the EU+ countries. 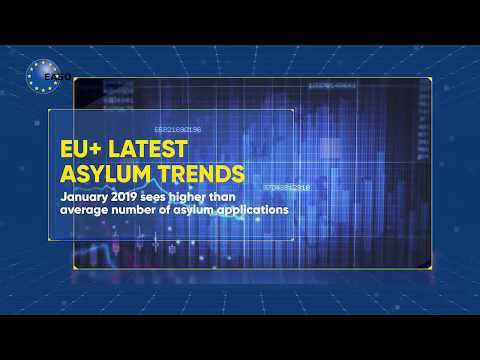 In 2018, fewer asylum applications were lodged by Iraqi nationals in EU+ countries. Despite this decrease, Iraq was the third most common country of origin of applicants in the EU+, with close to 42 000 applicants recorded from January to October 2018. At the end of October 2018, around 26 000 cases awaited a first-instance decision. The EASO COI Report: Iraq – Internal mobility aims to provide information on legal and practical aspects of mobility in Iraq. The report was drafted by the EASO COI Sector in accordance with the EASO COI Report Methodology, and was reviewed by the Estonian Police and Border Guard Board and the Hungarian Immigration and Asylum Office’s Centre for Documentation. In addition, the report was reviewed by the external expert Dr Geraldine Chatelard, social anthropologist and historian of contemporary Middle Eastern studies. The EASO COI report: Iraq – Key socio-economic indicators aims to provide information on key socio-economic indicators in Iraq focusing on Basrah, Erbil, and Baghdad, and highlighting aspects of the situation of IDPs in those areas, as well as women and children. Relevant indicators include the general economic situation, access to employment and livelihoods, poverty, food and water security, housing and living conditions, access to health care, access to education, access to support and assistance, and the role of support networks. The report was co-drafted by the Migration Office of the Ministry of Interior of the Slovak Republic (Department of Documentation and Foreign Cooperation) together with the EASO COI Sector in accordance with the EASO COI Report Methodology. It was also reviewed by the Estonian Police and Border Guard Board, the Hungarian Immigration and Asylum Office’s Centre for Documentation, and Dr Geraldine Chatelard.